*New IT solutions for improved visibility and networking in the transport chain. Europe’s leading logistics IT and data specialist, TimoCom, will be on site at the IAA Commercial Vehicles 2018 in Hannover (from 20-27 September) with a revised brand presentation and new IT solutions, ready to provide users with better visibility and networking along the entire transport chain. “Virtual solutions have driven the transport world for a long time now,” explained TimoCom’s Gunnar Gburek in advance of the leading trade fair for mobility, transport and logistics. From starting a transaction to creating the consignment note, many steps in the logistics process chain have turned digital. “We are focusing on the next development step and setting milestones for the daily logistics tasks of the future, when digital transformation has moved beyond the project stage and become routine,” he said. Almost two decades after the start of the IT company from Erkrath, which became famous with its freight exchange, TimoCom has developed more and more into a systems provider for digital control and completion of international goods transportation for transport orders. 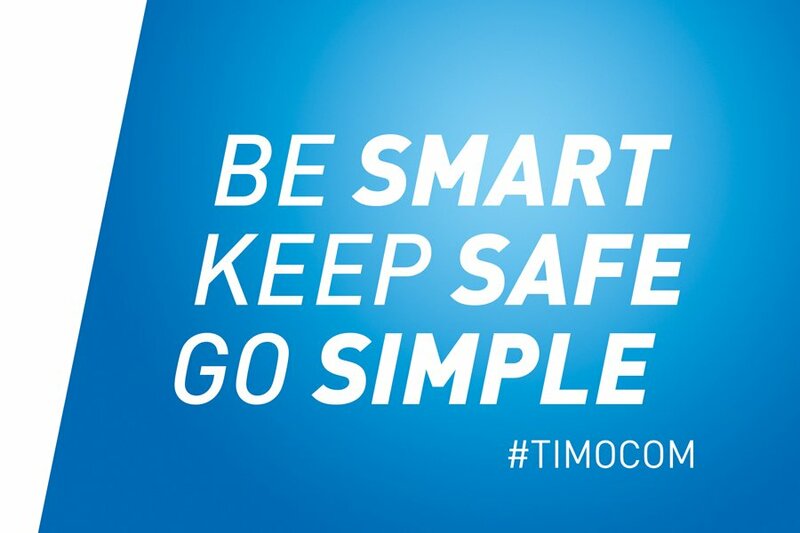 “We have become the pioneers and travelling companions for companies who want to take advantage of smart, simple and safe digitalisation with TimoCom.,” Mr. Gburek continued. On offer at the IAA (hall 13/stand C29) are more than just innovative logistics applications and well developed solutions for combining real and virtual worlds in new ways via the flow of data and goods. Show visitors will also get a chance to see the revised company logo and brand identity, on display for the first time at the Hannover Meese.